Review: First making his name in the mid-noughties minimal boom, Berlin based DJ/producer Onur Ozer became a staple of local imprint Vakant and even went on to mix the very first installment of local superclub Watergate's mix series. Fast forward to now, Ozer's style has changed considerably, and his new Akmar EP inaugurates the Denial imprint. 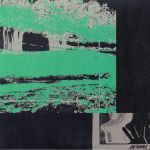 It sees the Turkish producer serve up a much more underground vibe, with the retro techno and sci-fi electro sounds similarly explored on releases for Treatment and Time Passages in recent years all evident on this bold EP.